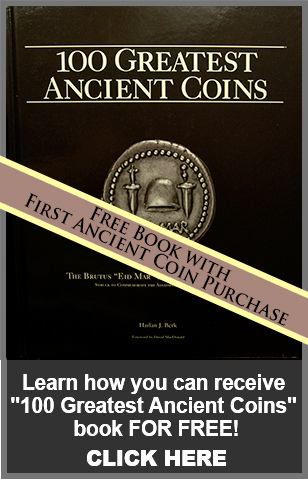 Egypt was one of the wealthiest of all ancient cultures and their vast wealth was reflected in their amazing coinage. 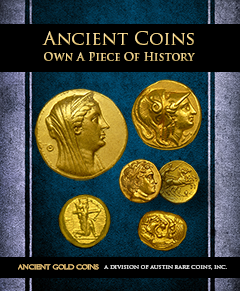 Octodrachms, containing nearly one ounce of pure gold, are the largest gold coins of the ancient world. They also struck coinage in silver and bronze and because of their immense size and beauty are widely admired today. Just fill out this short form to receive your FREE copy today!